When a house is constructed, garages are created to park the vehicles and ensure safety of the residential unit. Although the garage is an integral component of the landscape, it can also be a substantial security risk. Housing associations have prescribed the guidelines for installing doors but one must follow various tips to ensure the garage works for a long time and doesn’t cause a health hazard. One of the most important tips to ensure safety of the garage is to keep the remote control away from children as they may cause it to malfunction by throwing or continuously pressing its buttons. Sometimes, customers are advised to read the user manual carefully and learn to properly handle the emergency release feature. Due to cutting edge technology used in designing the garage, it is important to operate it in a correct manner to avoid troubles and accidents. A visual analysis by a garage door company reviews the wear and tear of the mechanical parts such as the roller and pulleys so the door works like a well oiled machine. 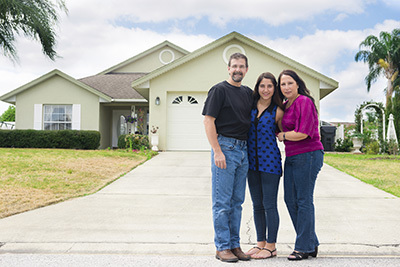 Homeowners should not try to repair any parts which are defective but call a professional to the rescue as the task can only be accomplished with the help of an expert. Another way to prevent accidents is by checking the reversing mechanism of the garage by a paper towel in the path of the door. If the reverse movement is not invoked after encountering the object, it is time to contact us at Garage Door Repair Kendall to rectify the problem. Our trained door specialist can make adjustments in the parts reeling under tension. It is important to teach children not to place their fingers between the door sections because they are prone to accident and injuries. Sometimes, one should opt for garage panels that do not pinch while closing. Installation is a very important step that helps in the seamless functionality of garage doors. If you are going away on vacation, unplug the garage switch to prevent untoward accidents. Similarly, vacation lock console can be activated to ensure the remote is deactivated. An active electronic infrared remote can be very dangerous if it falls into the hands of children. The safety of the garage is guaranteed by the rolling code technology that helps to change the access codes of the remote on a regular basis. It will not allow the unauthorized access and usage of the device. Therefore, instances of accidents can be kept to a bare minimum without any problem. The majority of garage doors are automatic, since they use an electrical current. As a result, it is important to ensure that wires do not sag and insulation covers are in proper condition. 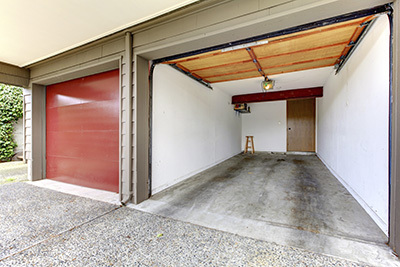 If there is any wear and tear, or accidental garage door damage, it is important to give us a call immediately.